Note that publication is embargoed until 00:01 on 5th September 2018. 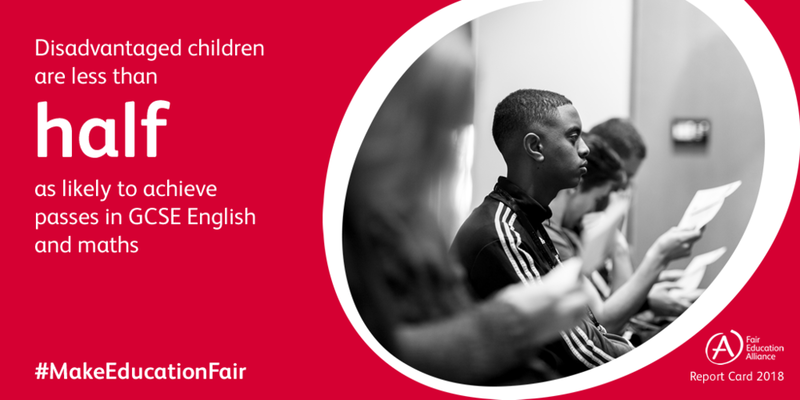 On 5th September we launch the Fair Education Alliance Report Card which measures the gaps between the most and least privileged students in five key areas – primary literacy and numeracy, GCSE attainment, post-GCSE destinations, university admission, and mental and emotional wellbeing – and sets out our priorities for closing them. Not enough progress has been made. There are still large gaps across the country, and some gaps have widened. Small gaps in primary school grow through to GCSE and university admission, leaving poorer students playing catch up for the rest of their lives. We cannot do this alone. The FEA is committed to working to achieve this vision but we need a shared commitment as a country – from parents, young people, teachers, government, and businesses. 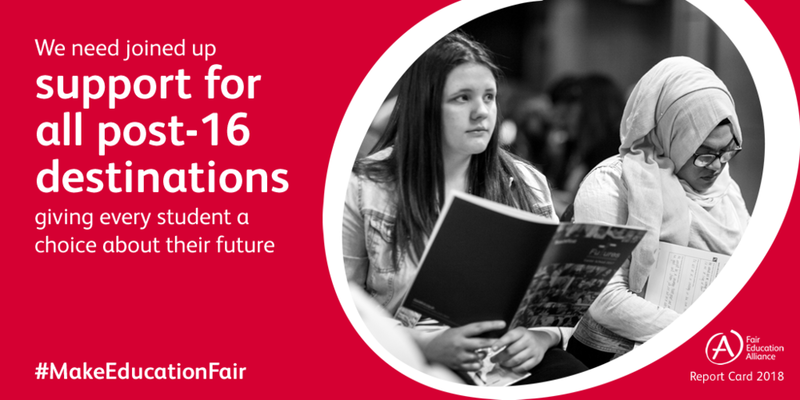 Only together can we drive the systemic changes that will make education fair. We have maximum impact when we use our collective voice to drive change. We can send a powerful message when we act in unison, in our press releases, statements, and social media campaigns. We would be hugely grateful if you would help us to promote the report. To download an image, right click on it and select 'Save image as...'.